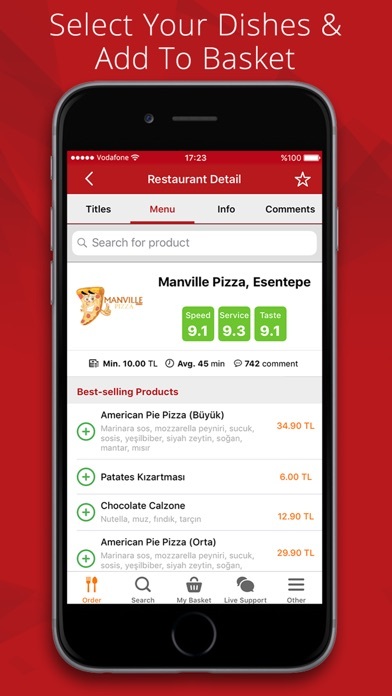 Yemeksepeti is the first and the strongest online food ordering app in Turkey, with more than 20 thousand restaurants in 69 cities! 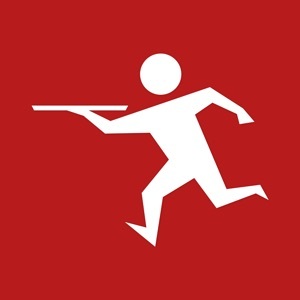 Download the app to order easily from your favorite restaurants including Domino’s Pizza, Burger King, McDonald’s, KFC, Little Caesars, Pizza Hut and many more! 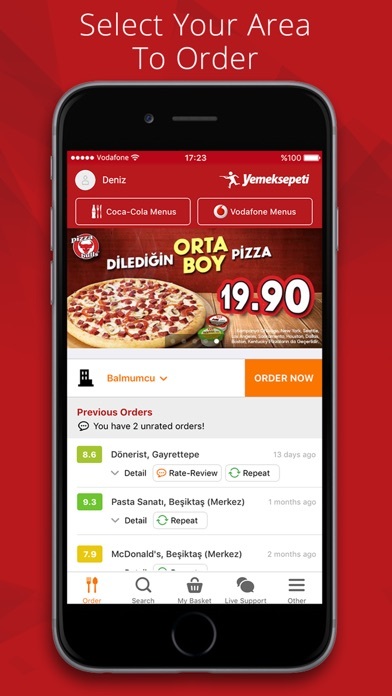 Ordering food with Yemeksepeti is easy! Select your district, choose a restaurant, add your dishes of choice into the basket, select your payment type and order. You can also order at a good price with the unrivalled promotion and discount variety. If you wish, you can pay at the door by cash or with credit card or just easily order online with our Online Credit Card and Online Wallet options. Your food will be delivered to your door in an average of 30 to 45 minutes! Features: •	Add your preferred restaurants to your Favorites list •	Live Support is here for you 24/7 for your questions about your orders •	Easily repeat Previous Orders right on the homepage! •	Select the restaurant you want easily with our advanced filtering system •	Variety of payment options, including Cash or Credit Card (at the door) or online through Online Credit Card or Wallet •	Selecting delivery time for now or at a date/time of your choice •	Rate/Comment on your order and display restaurants based on ratings & comments •	Display all the menus and food with up-to-date prices •	Coca-Cola Selected Menus, bringing you the most beloved foods with good discounts •	Vodafone Menus, with exclusive promotions for Vodafone customers •	İşbankası MaxiPuan points, as a payment option on Yemeksepeti Stop thinking what to eat, just tap on Yemeksepeti! Kebab, lahmacun, wraps, pizza, hamburger, sandwich, fried chicken, doner, kofta, cig kofta, mussels, sushi, noodle, salads & pasta are just a bunch among limitless food variety on Yemeksepeti. 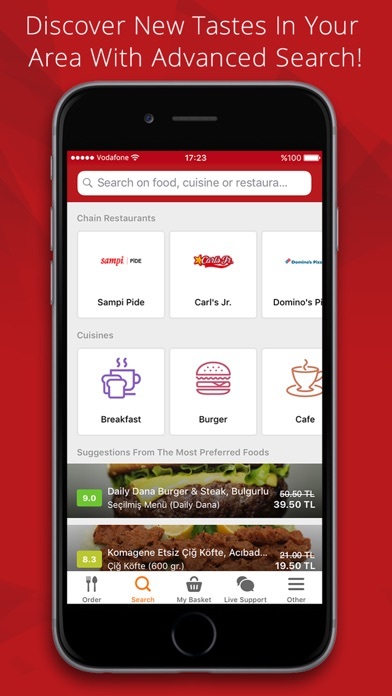 Turkey’s most favorite restaurants including Domino’s Pizza, Burger King, McDonald’s, KFC, Little Caesars and Pizza Hut are also on Yemeksepeti. If you are after new tastes, forget about searching for recipes. Yemeksepeti’s cuisine variety also covers Turkish, Italian, World Cuisine, Chinese, Japanese, Seafood, Burgers, Fast-Food, Cakes & Desserts and many more, to address your preferences. Nevertheless, you can also access Yemeksepeti on www.yemeksepeti.com and order to your home, your office, your campus and to quite simply wherever you are. If you have questions about your orders, you can get help using the Live Support on the app and the website. Do you also need grocery shopping? Then all you need is Banabi! 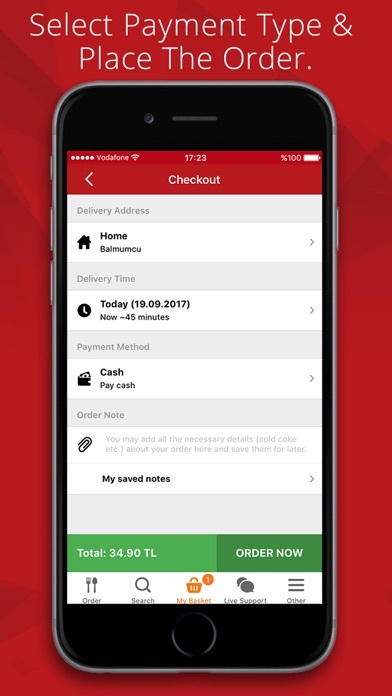 You can easily order your groceries by tapping on Yemeksepeti Banabi on Yemeksepeti mobile app home page and have them all delivered to you within minutes. For your questions about the service, Live Support will be at your service as usual. Yemeksepeti On The News: “Yemeksepeti is Turkey's first and biggest online food ordering site enabling users to order food from their favorite restaurant through the internet.” (Crunchbase.com) Yemeksepeti On Social Media: @sevimlicerenli One of my superpowers is to adjust the timing of the hunger versus my Yemeksepeti order very well. @merveevirgen “There are only one or two in this life who know me very well, one of them is Yemeksepeti.” Contact Us: Facebook: https://www.facebook.com/Yemeksepeti Twitter: https://twitter.com/yemeksepeti Instagram: https://www.instagram.com/yemeksepeticom/ Youtube: https://www.youtube.com/user/yemeksepeti For all of your queries: [email protected] Download the app and Order Now!